The U.S. Department of Labor (DOL) is the federal agency charged with promoting the best interests of wage earners, job searchers, and retirees. The DOL does this by improving their working conditions, advancing their opportunities for profitable employment, protecting their retirement and health care benefits, helping employers find workers, strengthening free collective bargaining, and tracking changes in employment, prices, and other national economic measurements. To carry out this mission the DOL administers federal labor laws that deal with employment including hourly wage and overtime pay, worker's right to safe working conditions, employment discrimination, and unemployment insurance. The Fair Labor Standards Act (FLSA) sets standards for the basic minimum wage and overtime pay, recordkeeping, and child labor. The FLSA affects most private and public sector employment, including government. Occupational Outlook Handbook: A nationally recognized source for career and job-related information including job prospects and earnings, duties, and more. Start your search at the Department of Labor (DOL) for employment and unemployment information. What Does the National Labor Relations Board (NLRB) Do? 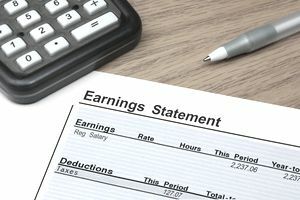 Want to Know All About Overtime and Overtime Pay?